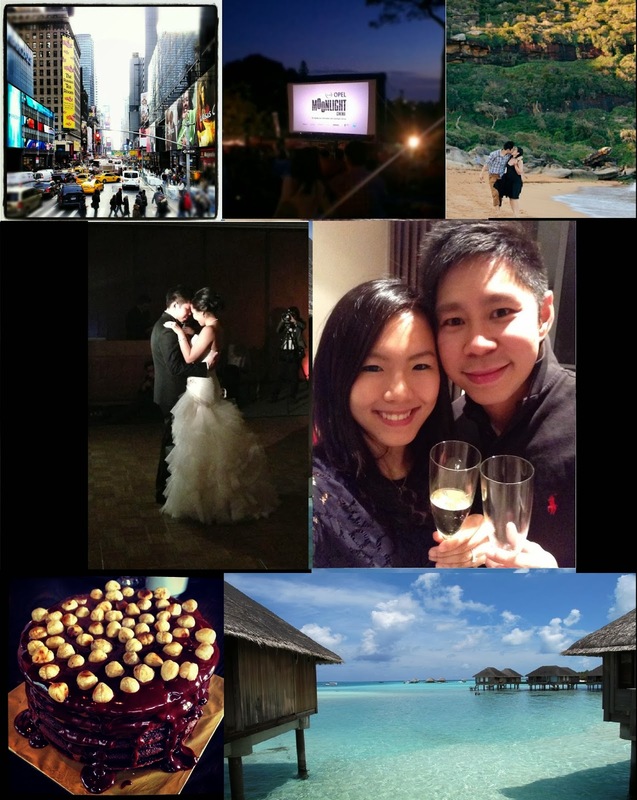 Passionatemae | Food has a way of bringing people together: My Favourite Highlights in 2013! It feels like we just celebrated New Year! Here are some of my favourite highlights in 2013. In January....Starting the year with a BANG in Times Square New York City! In February....We went to watch our first Moonlight Cinema on Valentines! In April....We shot our pre-wedding love story at one of our favourite places! In August....I married my best friend! I will never ever forget this day! In October....We went on our honeymoon in Maldives, where I've always wanted to go! In November....I re-created this Torta Alla Gianduia for my husband's birthday! In December....We rang in the New Year Eve as newlyweds! I could not have had a greater year in 2013 if it wasn't for my lovely family and friends. You made it possible! You know who you are! To many many more great memories together! My husband and I have planned for great things to happen for us in 2014 too! I know we will make it work for us no matter what, because we have one another and most of all, we have the love and support from our wonderful family and friends! Happy new year! What an incredible year you had - here's to an ever bigger one in 2014!